After a few days of a soft launch, acclaimed chef and long-time restaurateur Chef Angus An has officially opened Freebird Chicken Shack at New Westminster’s River Market. Owner and executive chef of Maenam, Longtail Kitchen, and Fat Mao Noodles, Chef Angus’ latest venture focuses on casual lunches and dinners, which will be offered from 10 a.m. to 6 p.m., seven days a week. On the menu, a concise list of street-food eats. 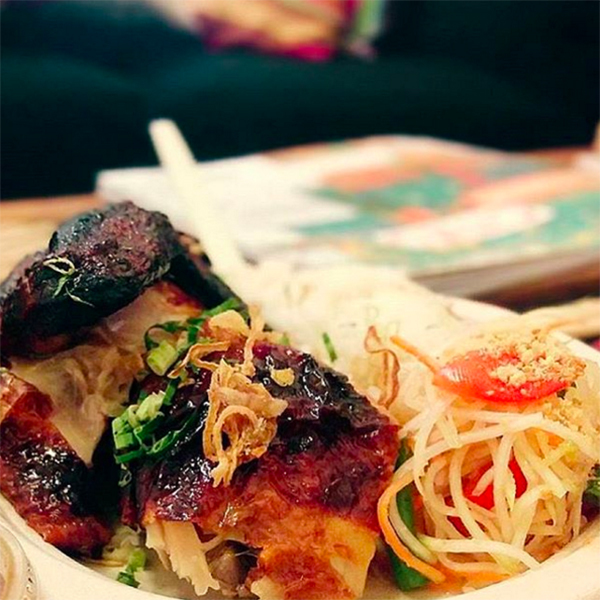 If you’re looking for a quick experience, the casual food counter offers two styles of robustly flavourful Asian-style chicken served in quarter, half, and whole-bird portions, with simple sides of rice, salad, and soup. “My staff and I are looking forward to branching out to offer even more options for casual dining. We’re keeping it fresh and simple, serving up some of my favourite dishes directly inspired by my adventures in street-side snacking in Asia”, says Chef Angus.